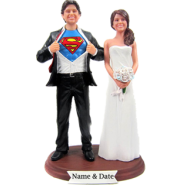 This wedding bobblehead features a playful bride jumping on the handsome groom. 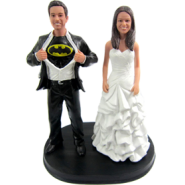 It’s the very item to show your excitement about the coming wedding. 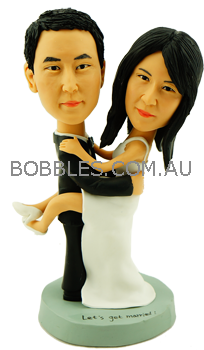 By make it customized with your and your beloved’s face atop, it will hit the wedding ceremony with big fun. 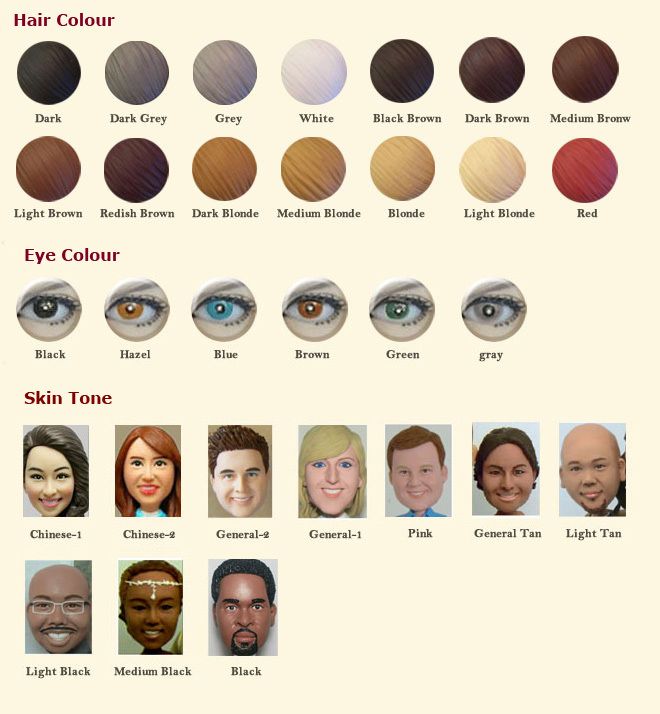 Just upload your photos by clicking the grey button below, the skilled artists will make your bobbleheads with excellent craftsmanship. 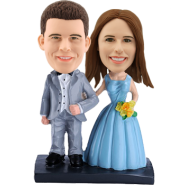 The end result will be a pair of funny, personalized and modern style wedding bobbleheads.